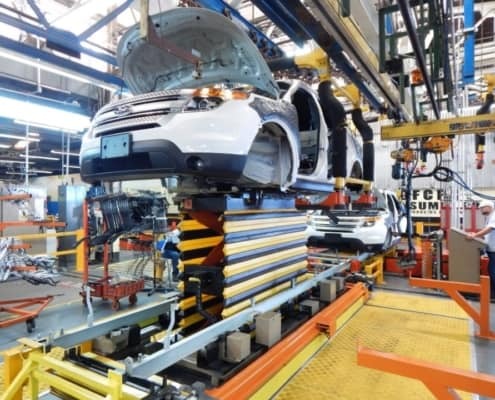 A conveyor system moves products in industrial facilities of all kinds. They are available as floor conveyors (roller, slat and belt conveyors) or overhead conveyors (monorail, power and free or hand-push). 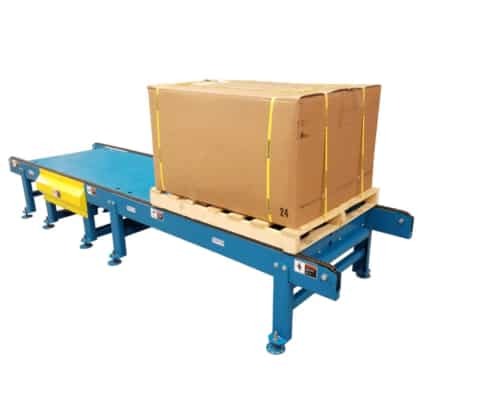 Conveyors are used to move material, store products in buffers and re-sequence items. 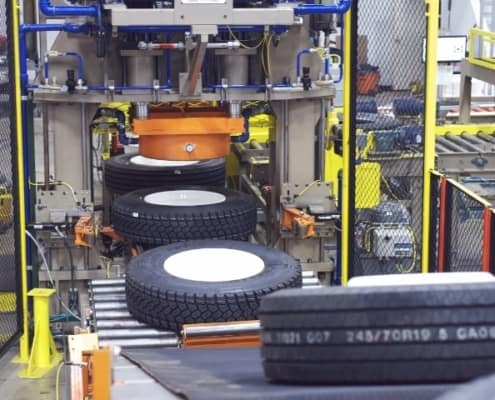 Customers use conveyor systems to improve productivity, reduce injury and protect against damage. 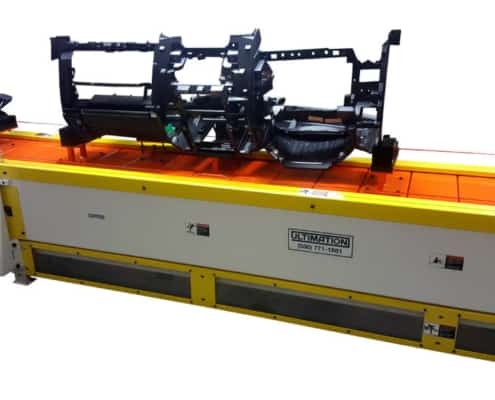 Ultimation’s product range includes many types of automated conveyors, material handling aids, automation equipment and specialized tire and wheel assembly lines. 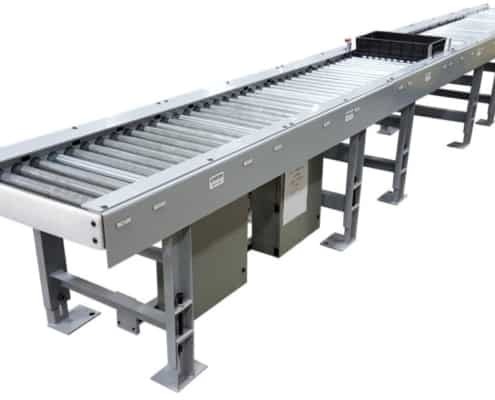 Therefore as one of the more experienced conveyor manufacturers in the world, we have an extensive range of designs and products ready to utilize for your needs. 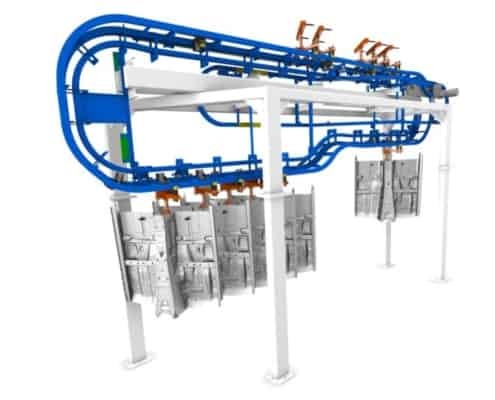 Do you need to combine the latest conveyor technology into a tight space and move it around at that same time? 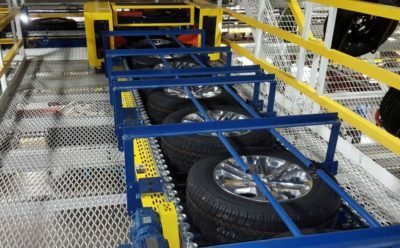 Ultimation’s conveyors can be found in mobile applications as well as the special 60 foot long by 10 feet wide trailer conveyor systems used by Ford to build the all-new aluminum F-150 pickup. Click on each of the categories below to learn more about that particular conveyor type. 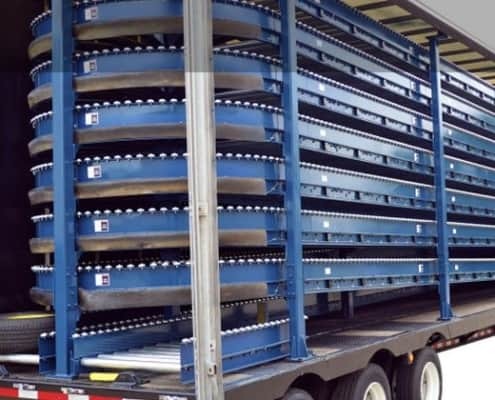 If you’re ready to buy immediately, we have thousands of “quick ship” conveyor components. 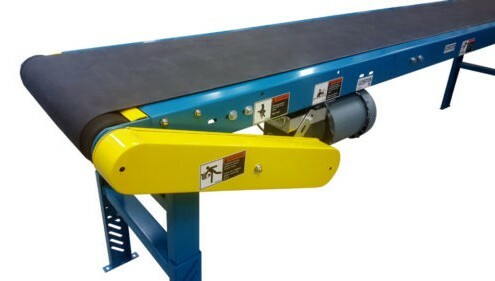 These include smaller systems like belt conveyors and gravity roller conveyors that you can click and buy in our online store. Importantly, many of the items are available for same day shipping. 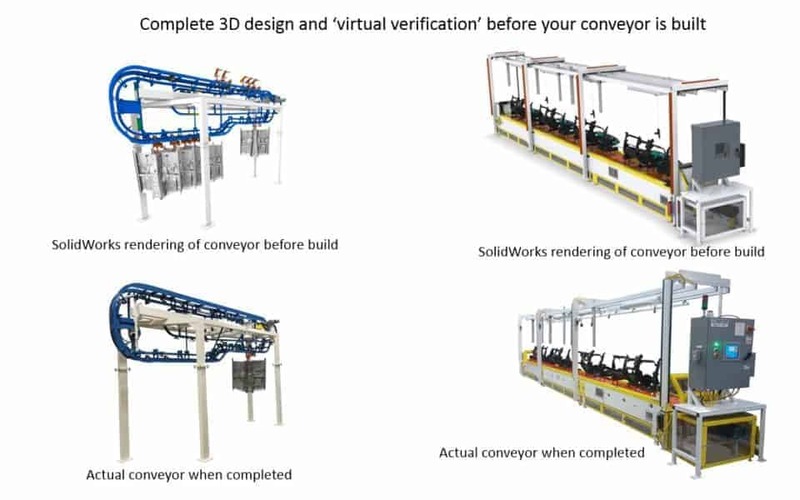 For larger systems we generally do all conveyor manufacturer design in 3D CAD systems, which enables customers to see their system before they buy. We’re always a phone call away on 586-771-1881. Call us if you need help, we answer all calls with a live human operator. Need help learning about other conveyor types, which types to use and how to specify them? This step by step guide will help.